LESS THAN 72 HOURS after the US Federal Reserves in New York responsible for the Central Bank of Liberia’s foreign transfers and payments, temporarily put a hold on all transactions with the CBL, pending clarity over an instruction from the Monrovia City Court regarding bank officials linked to the L$16 billion scandal, the CBL, a prime suspect in the investigation ordered by the President, has declared that it can now account for all L$15.5 billion reported missing. THE FEDS’ decision threatens to paralyze international transactions at the Central Bank of Liberia forcing the George Weah-led government in a rush to speed up the investigation. The decision could have an adverse effect on the bank because several employees at the Bank with authority are listed by the court in its writ. Secondly, CBL will be unable to make some foreign payments including foreign mission expenses. BANK GOVERNOR NATHANIEL PATRAY told a news conference Tuesday, that the CBL will cooperate with an investigation and avail all records in its possession. “I confirm that all employees of the CBL are committed to cooperating fully with the investigation and will continue to make themselves available to the Special Investigative Team whenever they are called upon,” Governor Patray declared. THE LIFTING OF travel restrictions was a major issue raised by the Feds. PRESIDENT GEORGE MANNEH WEAH recently established a Special Presidential Committee to probe the mysterious alleged disappearance of L$16 billion from the vault of the Central Bank of Liberia (CBL) and the Monrovia City Court last week restricted the movement of 35 employees of the bank pending the outcome of the investigation. The involvement of the court was triggered by a Writ of Ne-Exeat Republica prayed for by authorities at the Ministry of Justice (MoJ) to restrain persons of interest from leaving the jurisdiction of the court pending an action. WHILE IT IS unclear how much of an impact the governor’s statement Tuesday will have on the Feds position on the issue, it does validate the report that the bank was in trouble – in a rush to repair the damage stemming from the poor manner in which the government handled the scandal. THE FEDS, ACCORDING to sources, had expressed concerns that several high-profile staffers at the bank, had been placed on travel ban in the wake of the investigation into the missing billions. MULTIPLE CBL sources confirmed to FPA Sunday that the Feds have expressed concerns about multiple reports in the local and international press regarding the alleged disappearance of millions of dollars in local currency. The Feds are said to be particularly concerned about the mention of Mr. Charles Sirleaf, who along with some 29 bank officials including the former Governor Milton Weeks have been barred from traveling by the Monrovia City Court. THE SAD REALITY is that since early August, when the saga first came to light, the bank and the George Weah-led government missed several glowing opportunities to end the noise surrounding the reported missing billions. BOTH POLICE INSPECTOR General Patrick Sudue and NSA Director, J. Henric Pearson declined to respond to the inquiry. WHEN THE STORY finally broke, several government sympathizers took to social media and local radio stations to lay the blame of the missing containers on the doorsteps of the government of former President Ellen Johnson-Sirleaf. 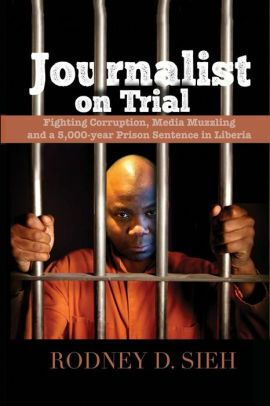 IN FACT, MR. LENN EUGENE Nagbe, who served as President Sirleaf’s Minister of Information went to ĺthe international airwaves to tell the world through the VOA’s Daybreak Africa that the government headed by his former boss, Sirleaf kept the new government headed by President Weah in the dark about the new banknotes during the transitional period. “…One would have thought that this new President would have been informed about all of these transactions during the transition notes that were presented to him during the transition meeting but he was not aware,” Nagbe said. ADDING MORE FUEL to the saga, President Weah ordered the infusion of US$25 million into the economy in a bid to curb the rising foreign exchange rate. To date, commercial banks operating in the country have no record of how that money was disbursed or which businesses benefited. GOVERNOR PATRAY ASSURED Liberia’s international partners that there is no 16 billion Liberian dollars missing as has been erroneously reported in the Media. WHAT IS CONFUSING AND PERHAPS troubling for us, is whether Mr. Patray is speaking in his capacity as an impartial CBL governor who’s institution is a prime suspect in the saga – or a governor who has put himself on record as pledging that under his watch, the CBL would not run as a normal bank operating under a set of guidelines and mandates defined in its Act, but rather, run per the dictates of President Weah. GOVERNOR PATRAY SAID IN AUGUST: “What we’re doing in the bank right now — we are working at the President’s mandate — technical economic management team which is different from the mandate of the Central Bank that is within the bank’s act. We will work with the Bank’s Act, but if it is necessary to sideline it for a while to get the President’s own mandate accomplished, we will have to do that. So, what I am looking for and the rest of the governors is for production, we have to produce so nobody salary will be cut”. MR. PATRAY’S statement also follows a recent spat between both the Minister of Finance and Information who were entangled in a public disagreement over the print of the controversial money and the missing container. THREE SENIOR GOVERNMENT ministers, Justice Minister Frank Musah Dean, Information Minister Nagbe and Finance and Development Planning Minister Samuel Tweah have projected several variations of what may or may not have taken place regarding the missing billions. MORE IMPORTANTLY, what happens now to those the government put on a travel ban and publicly embarrassed under the guise of an investigation? HERE LIES the government’s predicament: A galore of contradictions has made it difficult for most Liberians and international partners to believe any explanation at this point in time. The CBL is suddenly declaring that it has no records showing that monies printed under its authority have not yet been delivered into its reserve vault. This announcement coming in the wake of an investigation sanctioned by the President, who has asked his citizens to be patient, pending the arrival of help from the US Federal Bureau of Investigation – and the results of the probe, smells a bit fishy. Liberians deserve more respect than this – and should not be taken for granted by those elected or appointed to steer the affairs of the state.